The Westwood home south of Wilshire at 10443 Wilkins Ave., LA CA 90024 lasted 128 days on the market before receiving an accepted offer on 1/27/10. Listed on 7/9/09 for $1,295,000, the home received two price reductions during the listing term. 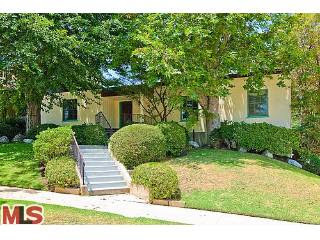 The home had previously been in escrow on 9/21/09, but fell out on 12/1/09. 10443 Wilkins closed on 3/31/10 with a final sales price of $1,025,000. According to the MLS, the home is a 3 bedroom / 2 bath, 2,087 sq ft home on a 7,361 sq ft lot.